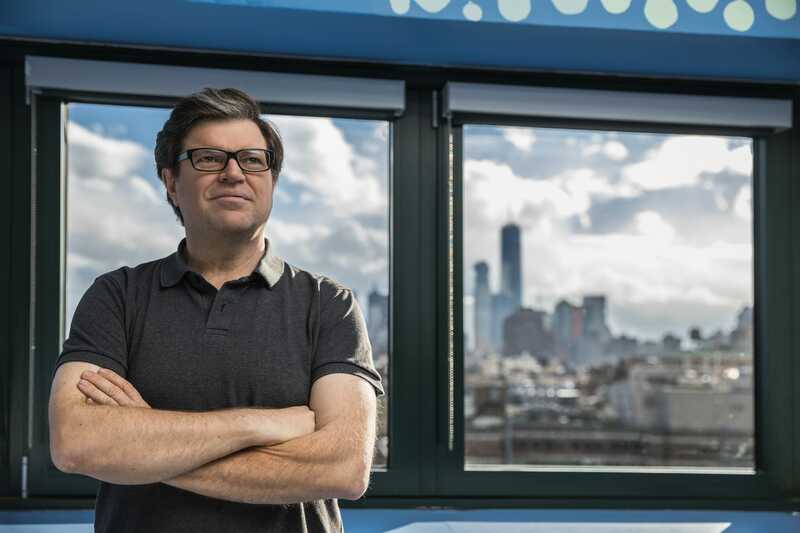 FacebookFacebook’s chief AI scientist Yann LeCun. Giving machines “common sense” to learn about the world through data will be a big area of research in artificial intelligence over the next decade, says Facebook’s chief AI scientist Yann LeCun. In recent years, many of the worlds biggest tech companies – from Google to Facebook and Microsoft – have been fixated on artificial intelligence and how it can be incorporated into nearly all of their products. For example, Google even rebranded its Google Research Division as Google AI ahead of its developers conference this year, during which AI was featured front and center. Mark Zuckerberg also explained how Facebook is using AI in an attempt to crack down on hate speech on its platform during its F8 conference in May. The AI market is also booming as companies continue to invest in cognitive software capabilities. The International Data Corporation indicates global spending on AI systems is expected to hit $US77.6 billion in 2022, more than tripling the $US24 billion forecast for 2018. But the industry still has a long way to go, and much of its progress could depend on whether academics and industry players will succeed in finding a way to empower computer algorithms with human-like learning capabilities. Systems powered by artificial intelligence, whether you’re referring to the algorithms Facebook uses to detect inappropriate content or the virtual assistants made by Google or Amazon that power the smart speakers in your home, still can’t infer context like humans can. Such an advancement could be critical for Facebook as it ramps up its efforts to detect online bullying and identify content related to terrorism on its platforms. A key element in advancing the field of artificial intelligence, particularly when it comes to deep learning, will be ensuring that there’s hardware capable of supporting it. That’s the big topic LeCun is addressing at the International Solid-State Circuits Conference on Monday, where he’s discussing a new research paper outlining key trends that will be important for chip vendors and researchers to consider over the next five to 10 years. “Whatever it is that they build will influence the progress of AI over the next decade,” he said. Imagine a vacuum that’s not only smart enough to map your living room so that it doesn’t clean the same spot twice, but is also capable of detecting obstacles before bumping into them. Or a smart lawnmower that can intelligently avoid flowerbeds and branches as it trims your lawn. For gadgets like these to work and become prevalent – in addition to technologies that companies like Facebook and Google parent Alphabet are investing in, like augmented reality and self-driving cars – LeCun says more power-efficient hardware is needed. Such an advancement isn’t just necessary for technologies like these to thrive, but also for improving the way companies like Facebook identify the content of photos and videos in real time. Understanding what’s happening in a video, transcribing that activity into text, and then translating that text into another language so that people around the world can understand it in real time requires “enormous” amounts of computing power, LeCun says. We’ll continue seeing AI advancements in smartphones in the near term before improvements appear elsewhere. Giving machines “common sense” will be a big focus for AI research in the next decade. While humans often learn about the world through general observations, computers are typically trained to perform specific tasks. If you want to design an algorithm that can detect cats in photos, for example, you’d have to help it understand what a cat looks like by exposing it to a large trove of data, which could include thousands of photos labelled as including cats. But the Holy Grail in the next decade to push AI forward lies in perfecting a technique known as self-supervised learning, according to LeCun. In other words, enabling machines to generally learn about how the world works through data rather than just learning how to solve one particular problem – like identifying cats.